Do you ever wonder, what is the best Omega 3 supplement? Do you even know why do you need it? How does it affect your mood and stress levels? Omega-3 fatty acids are essential for your health and well-being as other elements, minerals, and vitamins. It can help you with stress management. If you are healthy and get enough minerals and minerals from diet or supplements, it’s easier to deal with stress and anxiety that sometimes feels like the end of the world. 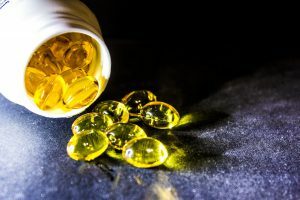 Here you not only can find information why omega-3 is essential for stress management but also four great supplements which can help you. Many of you know that Omega-3 is beneficial for the heart, but omega-3 may also help you against stress. Omega-3 intake is associated with improved mood and cognition. A 2015 study shows omega-3 supplementation was effective in the stressor impaired mood that includes feelings of tension, anger, anxiety, and confusion. An omega-3 fatty acid (the EPA) can bring back cortisol to its normal levels. Omega-3 is also great in reducing depression and anxiety, that can be one of the stress symptoms or a problem on its own. The findings from 2004 research show a protective role for omega-3 fatty acids in stress. Omega-3 and its supplements are regarded as a way to combat stress and its effects that can destroy your health. Flax Seeds. It can be in a seed of oil form. 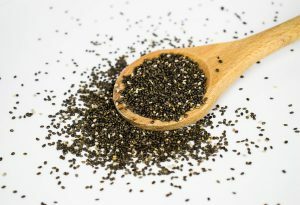 60 % fats in flax seeds are omega-3. I chose four supplements from top 10 vegan omega-3 supplements, according to labdoor com. Can you guess why did I choose vegan omega-3 supplements? They are the best because algae are the original source of omega-3 (EPA and DHA). Description: This is a vegetarian source of omega 3, that provides a unique combination of DHA and EPA without the use of fish. The algae oil surpass the strictest international standards for purity, it is in the triglyceride form. Omega 3 is good for eye and heart health, cognition, and optimal wellness. Ingredients: EPA (Eicosapentaenoic Acid), DHA (Docosahexaenoic Acid), Other Omega-3s, Algal oil (marine algae oil [Schizochytrium sp. ], rosemary extract, high-oleic sunflower oil, natural mixed tocopherols, ascorbyl palmitate), soft gel capsule (modified cornstarch, glycerin, sorbitol, carrageenan, water, carob color). Description: This supplement provides omega-3 nutrition from algae. It is an alternative source of DHA for vegetarians and vegans that support brain and eye health. This supplement contains cold processed oils, and during the concentration process, CO2 extraction utilizes less heat than the leading brand. Ingredients: Omega-3s, Omega 3 fatty acids, DHA (Docosahexaenoic Acid), Omega-6s, Omega 6 fatty acids, DPA (Docosapentaenoic Acid), Astaxanthin, VegaGels (potato starch, vegetable glycerin, sorbitol, coconut oil, euchema seaweed, palm oil, and wax), Algal oil DHA concentrate (Schizochytrium sp. ), astaxanthin, natural non-GMO soy lecithin, rosemary extract, natural non-GMO mixed tocopherols (antioxidant) and natural orange flavor. Description: Ovega-3 is the first fish-free vegetarian omega-3 supplement with EPA and DHA. This omega-3 supplement is an alternative to fish oil made from a sustainable and natural plant source (algae). It is one of the highest omega-3 supplements available and proves the same heart-healthy of fish oil but without a fishy aftertaste. Did you know that algae are the original source of EPA and DHA? Most people think that it’s fish, but they are wrong. The algae that fishes eat contain this essential omega-3s that you need. 100 % free of pollutants and toxins like PCBs and mercury that are found in fish. It is sourced from plants that are grown outside of the ocean. Description: This premium quality omega-3 supplement is delivered from microalgae grown in a closed-culture manufacturing facility in the USA. No gelatin or other ingredients from animals. Some people don’t like that there are adjectives like carrageenan, sorbitol, and caramel color. They will not even buy this supplement because it contains carrageenan. 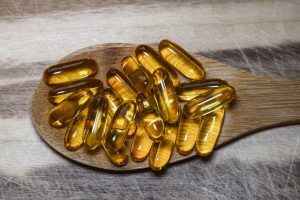 What Is The The Best Omega 3 Supplement? If you didn’t know before, now you know how important is omega-3 for stress management, your health, and well-being. Sadly, sometimes we can’t get enough essential elements through food, and we need a supplement that can help our body to get all it needs. The other thing to remember is to consult your doctor before taking any supplement. These four Omega-3 supplements are great, but I need to choose one which I think it’s the best. In my opinion, the best omega-3 supplement is Nordic Naturals Algae Omega, because it provides both EPA (Eicosapentaenoic Acid) and DHA (Docosahexaenoic Acid). This supplement doesn’t contain gluten, milk, GMO, or artificial flavors or colors, so it is good for people who are allergic to these products. It is also third-party tested for purity. 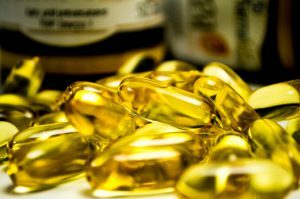 I hope now you have an idea about what is the best omega 3 supplements, and you will know what to choose for yourself and your family. Remember that if you have a healthy diet, you don’t need supplements. I think that always is better if you get enough vitamins and minerals from the food that you eat. Of course, sometimes you need great supplements to help you especially if you have a lot of stress in your life that can deplete essential elements from your body. What do you think about these supplements? Are you already taking an Omega-3 supplement? Let me know below! If you are looking for the best omega-3 supplements, CLICK HERE to get to know more how laughter can help you reduce stress. Learn about vitamins and supplement that can help you manage stress better, CLICK HERE for more information. I love to hear from the readers, so please leave me a comment below to let me know if this article helped you. Learn how to relieve stress naturally and easy. Please subscribe to this blog, and you will be the first one to read my upcoming articles about stress management. If you found what you were looking for, please share this information and let your friends know about it too.